ALMA Food Truck specializes in catering events and festivals across the country. Their business had a unique challenge of being distinguishable in a sea of visual craziness where it’s difficult to establish an ongoing relationship. They also needed to identify as eclectic Latin-American fare, not a Tex-Mex or taco truck. 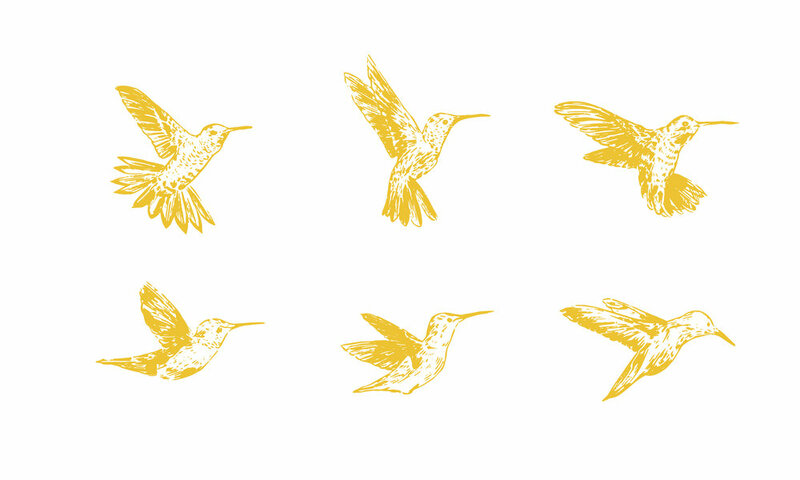 The client came to us with the name “ALMA,” which means “soul” in Spanish, and the idea of using a hummingbird to tell a story that resonates with their audience. Like a bird, people travel place to place, taking their experiences and sharing it with others. The hummingbird is also special to Latin America, where there are hundreds of native species. 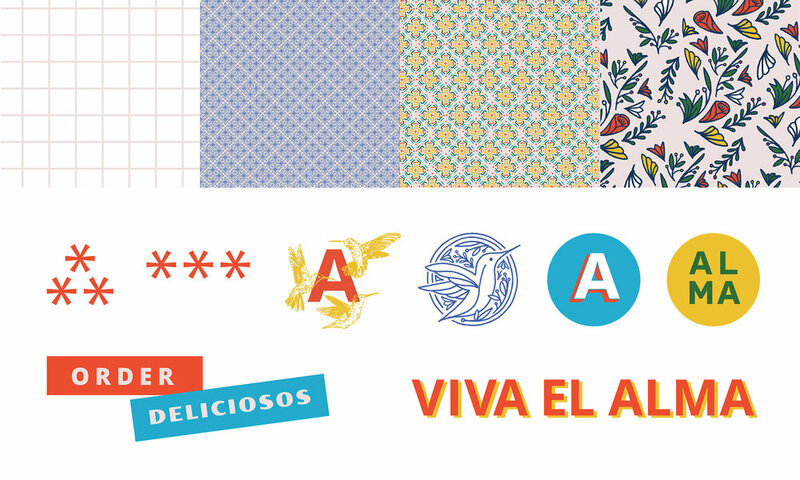 We created a brand as rich as the culture ALMA shares through their food. The brand uses an interchangeable logo system, secondary graphic elements and multiple patterns for a flexible brand. This gave them a toolkit to be expressive and standout in the food truck crowd. The ALMA team wanted a way to celebrate their brand with all the people they meet on the road. Remo Remo Design partnered with Nathan from Leber Design & Print to produce a range of high quality apparel. 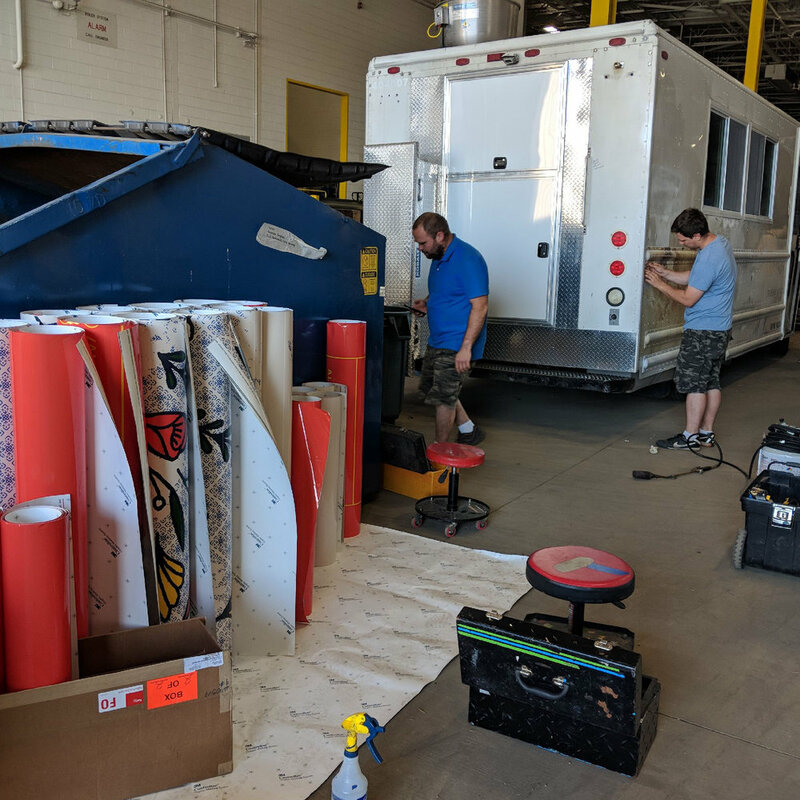 American Graphics worked closely with us to get the food truck ready in time for ALMA’s launch Labor Day weekend. Their specialized team printed and installed our design exact to the rendering.